It was a harvest of goals at the Dar Es Salam National Stadium on Sunday afternoon as Nigeria’s Golden Eaglets opened their CAF U-17 AFCON tournament with a 5-4 win over hosts Tanzania . It was the highest scoring game in U-17 AFCON history, surpassing the Seychelles vs Mali, Cameroon vs Ethiopia and Nigeria vs Eritrea matches that produced eight goals in 2001, 2003 and 2007 respectively. 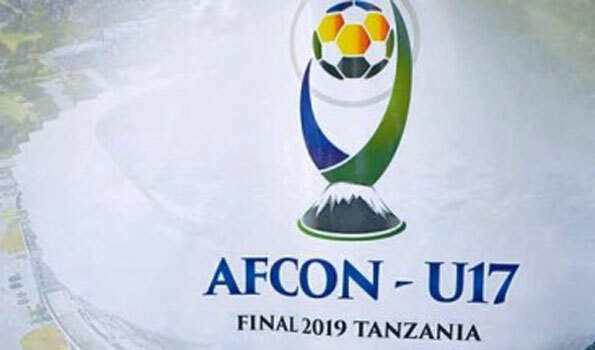 Olatomi Alfred opened the floodgates for Manu Garba’s side 20 minutes in after pouncing on a rebound as the Tanzanian defenders tarried to clear their lines. But the Serengeti Boys were soon back on level terms through Edmund John in the 30th minute. Wisdom Ubani restored the lead for the Flying Eagles seven minutes later while Akinwumi Amoo got in on the goal scoring act just before half time to give Nigeria a healthy lead to take into the break.